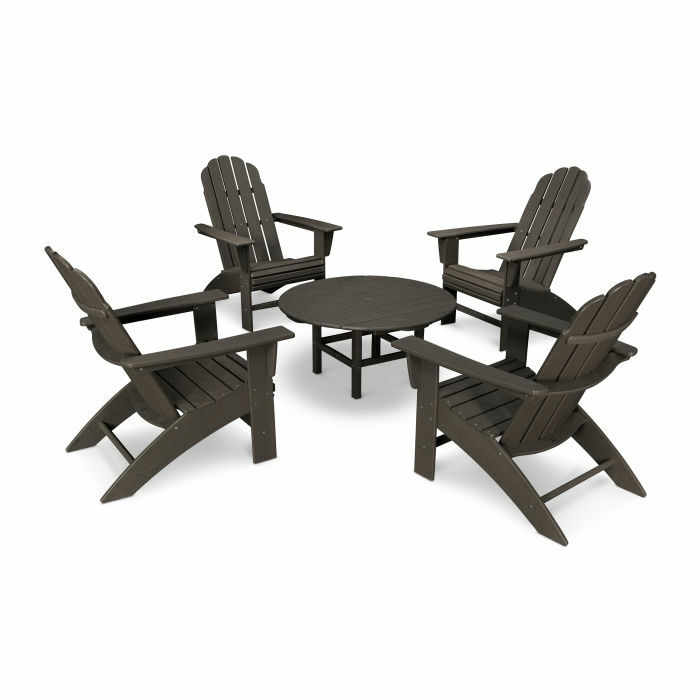 Create a gathering spot for four with the Vineyard 5-Piece Curveback Adirondack Set. With a comfortably contoured seat and waterfall front for added comfort, the Vineyard Curveback Adirondack is a spacious chair your guests will love. Paired with a coordinating conversation table this set creates a hang out spot for drinks, snacks and conversation.